To many jazz lovers, Shirley Horn is the empress of the slow ballads. Her tempi are always way beneath your heartbeat. She’s the goddess of the conversational style and one of my heroines. And what’s more, she also knew how to play the piano beautifully – she recorded many albums on which she accompanied herself. Just try singing and playing the piano equally blissful. It should be made an Olympic discipline! Shirley didn’t restrict herself to just ballads however, there are some stunning and swinging albums she recorded in her early career, among which there is one of my favorites: Shirley Horn with Horns, released in 1963 by Mercury. You’ll find some lesser known jazz standards on this album that you are going to love. Whenever I listen to Shirley Horn, I never stop admiring the way in which she manages to create such an intimate atmosphere. Her soft, breezy tones whisper in your ear. I’m taken on a journey with every word she sings. Her interpretations could leave you spellbound. I just love the way she breezes life into a text, by slightly emphasizing different words: “I want to be with yóu, I want to bé with you”. “I like to sing the words as if I was talking to someone”, Shirley once said. And that’s exactly what she is doing. She opened up my eyes to the attention for detail you can bring into the song. 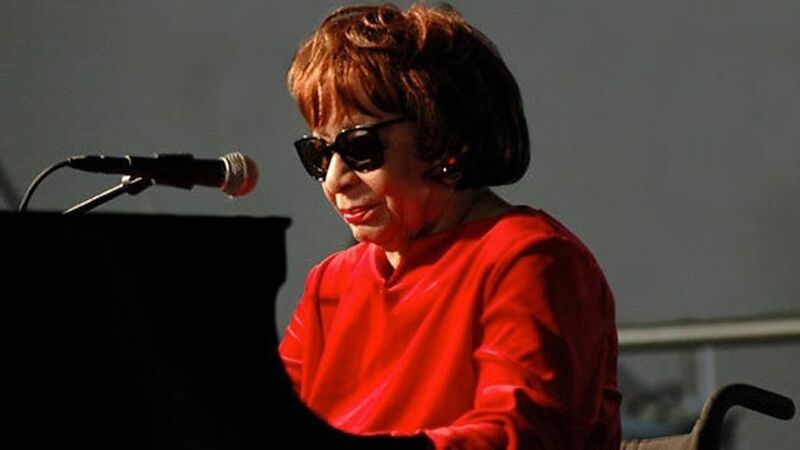 So, if you hadn’t already, check out Shirley Horn and let her stories capture you. And try to sing a song from your repertoire much slower than you usually do. Try to beat the natural urge to fasten the tempo, hold your horses, and see what it brings you. You might want to take it slower, slower and…. even slower. You’ll most probably feel that you are going to have to adjust your timing, start your sentences later, expand your words, have more time to color your melody (Ah! The endless possibilities, it’s like painting on a blank canvas) and that the words in your song win in depth and meaning. I’m very curious to hear about your experiences!